On the heels of his sold-out shows earlier this year, country music superstar Blake Shelton will continue the fun this fall with his 2016 Tour Presented by Gildan®. Tickets can be purchased through www.ticketmaster.com, at the arena box office or by calling (800) 745-3000. Tickets for the Oklahoma City shows go on sale at 10 a.m. April 22. Shelton will be offering fans the chance to purchase exclusive VIP experiences on this tour. The Gold Blake Shelton VIP Experience will include one premium reserved ticket in the first 20 rows of the floor plus an invitation to the exclusive pre-show party in the BS’ers Lounge where fans will be treated to a special acoustic performance and Q&A session with Blake. The Platinum Blake Shelton VIP Experience will include one premium reserved ticket in the first 5 rows of the floor, a Blake Shelton autographed guitar and special venue parking in addition to the aforementioned perks of The Gold Blake Shelton Experience. 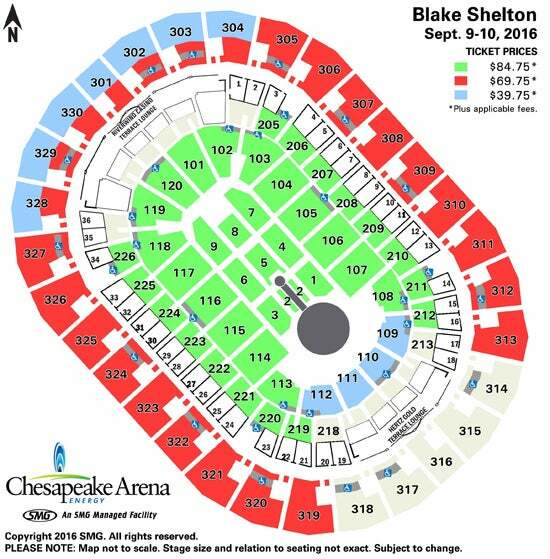 The Silver Blake Shelton Experience will include one premium reserved ticket in the lower bowl and early entry to the venue with dedicated seamless admission. More information about additional perks from these packages can be found online at BlakeShelton.com. It’s a busy year for Shelton with the release of his new album, If I’m Honest, on May 20, which includes his new single “Came Here to Forget” and “Savior’s Shadow,” at Country and Christian Radio now. Shelton is currently filming his 10th season on the Emmy Award winning, The Voice, on NBC. Additionally, Shelton released the track and music video for “Friends,” which is featured on The Angry Birds Movie soundtrack. The movie will be released May 2 and he’ll be the subject of a career-spanning exhibition at the Country Music Hall of Fame® and Museum in Nashville, Tennessee. Blake Shelton: Based on a True Story, which opens May 27, 2016, will explore the life and work of one of country music’s most popular and multi-dimensional artists. For the latest news and information, be sure to follow Shelton on Twitter @blakeshelton and stay tuned to BlakeShelton.com.